Congress must think Americans are fools, and perhaps we are. Earlier this month, the Republicans rammed through their so-called "tax reform" bill that will give middle-class families about ten bucks a week in tax relief. Meanwhile, Congress left the notorious carried interest rule in place--the rule that allows hedge fund managers to pay federal taxes at a lower rate than their secretaries. If Americans are stupid enough to swallow the tax-reform caper, maybe they can be swindled out of their Social Security earnings. Representative Tom Garrett, a Republican congressman from Virginia, thinks its worth a try. Garrett has introduced a bill he calls the Student Security Act, whereby college borrowers can surrender some of their Social Security earnings in return for student-loan forgiveness. For every $550 in student loan forgiveness . . . a Student Security participant would agree to raise his or her full-retirement age for Social Security benefits by one month. A student could get a maximum of $40,150 in debt relief. To get that, the person would delay the starting age for collecting Social Security benefits by 6 years and one month. Most people need their Social Security income in order to retire, so essentially Representative Garrett is asking people to postpone their retirement by six years in return for some student-loan debt relief. 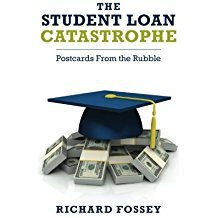 Of course the whole premise of the federal student loan program is the notion that a college degree is the ticket to a middle-class lifestyle and that borrowing money to get a college education is a good investment. Obviously, that premise is false for millions of people, including people who would postpone their retirement by six years just to get clear of their student loans. 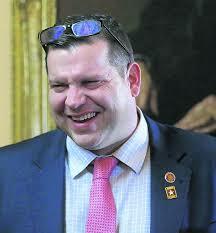 Congressman Tom Garrett wants your Social Security check. Tom Garrett. Let's allow our kids to use some of their future Social Security earnings to pay off their student loans. foxnews.com, December 29, 2017.